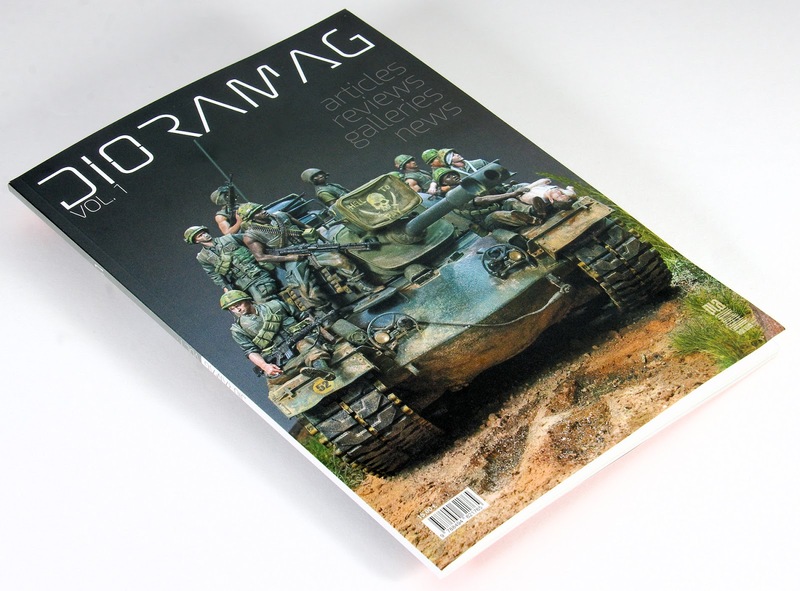 We saw the concept of a new modelling magazine recently - called "Dioramag" and published by Pla Editions and headed up by master modellers Sven Frisch & Pere Pla , Rhodes Williams & Pete Hamman to name a few - this magazine would focus solely on the work of modeller's and their dioramas - this had us even more interested, so we decided to secure a copy for review. A quick note about the advertisements vs content in this magazine. I always look at this when looking at magazines due to some publications lack of content and willingness to double dip on price and adverts. Happily, we are off to a good start here, because inside this issue I only found advertisements in the front and rear inside covers, plus two singles pages (plus a few placed in vacant spaces). The magazine does sell for fifteen Euros. 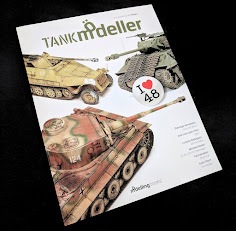 Ninety-four pages of models = not too bad value on content. 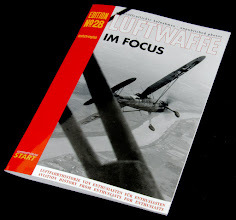 The magazine is ordered directly from Pla Editions website, and it arrived here in OZ a week or so later in good order in a secure post packet. When looking inside I saw a magazine that is slightly thicker than most you will see, indeed some might call this a book, but I think a magazine is closer to the mark. 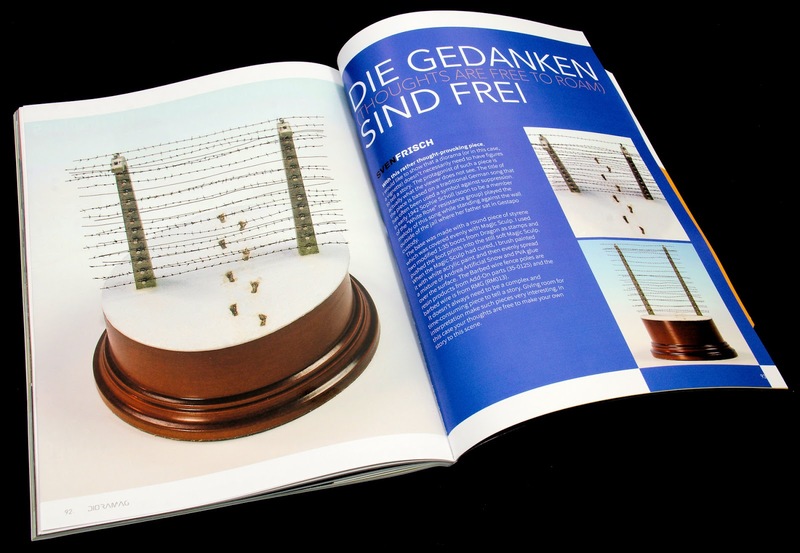 The team of modellers involved with this publication you see in the credits is formidable. 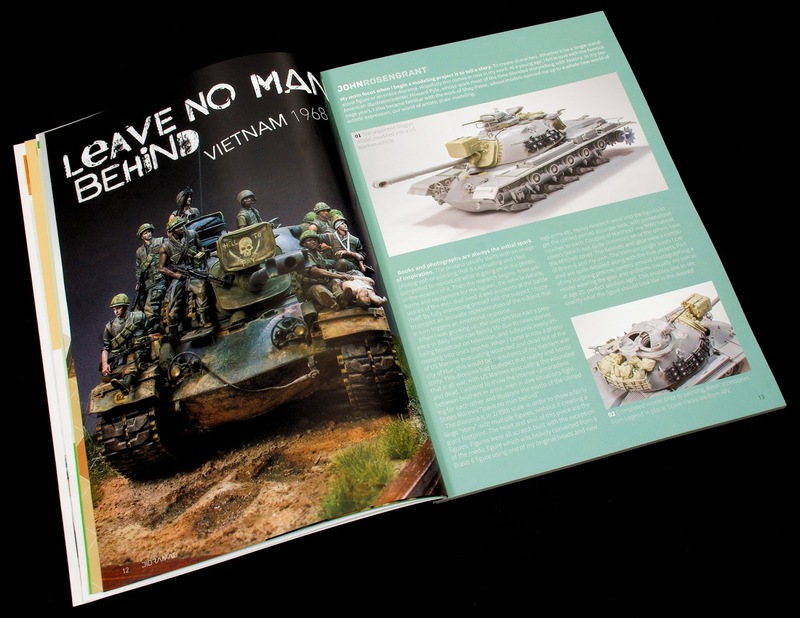 Presented in an A4 Portrait format, this issue is covered in a shiny gloss cover that is very nicely illustrated on the front with one of the several dioramas inside the mag. 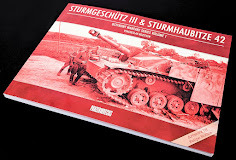 Inside, the paper stock is of a fairly thick grade with a nice feel to it, the pages stay stiff when turning them, and inside these pages, the photographs are of an excellent quality, the artwork and layouts are also very "Schmick". We will show you as much of this first issue as we can without going overboard to give you a feel for the magazine, and what to expect in this series. To do this we will go through each article and section bit by bit now. 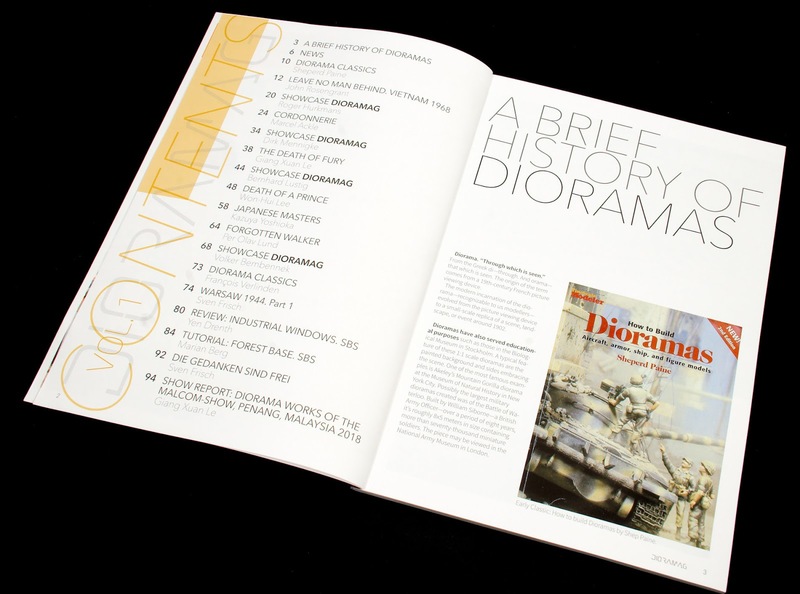 A Brief History Of Dioramas: We start off our journey through this first issue by going back. 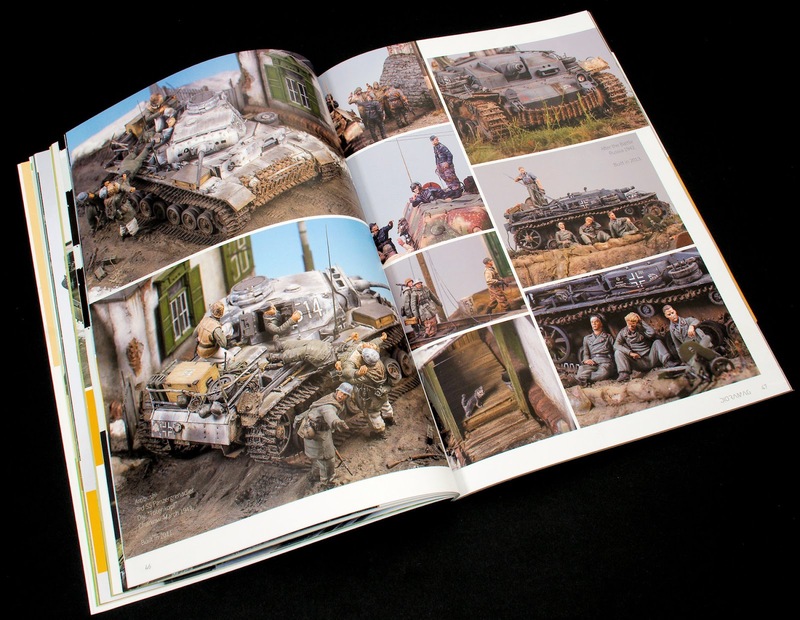 The editor takes us on a tour throughout this book of several masters of the diorama, but not before reminding us of their influences of the late Sheperd Paine and the still vital Francois Verlinden with several of their works on display. 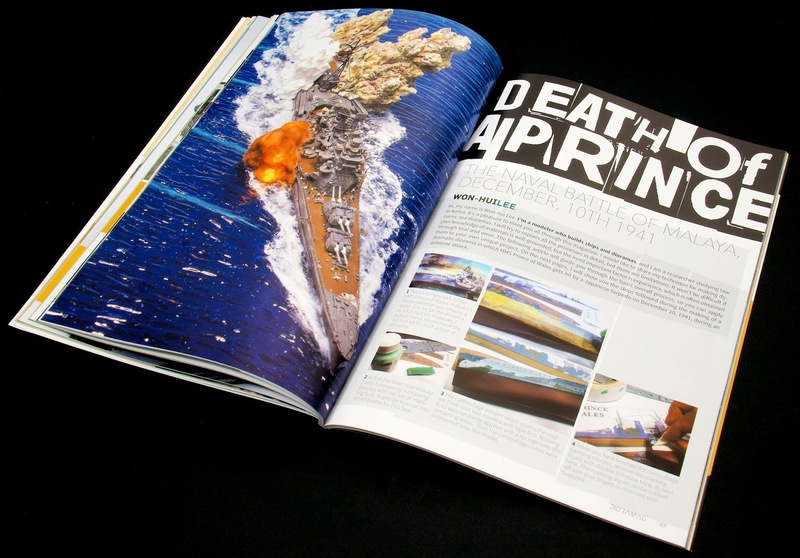 These dioramas and several others are presented as inspirational pieces in showcases throughout this magazine. 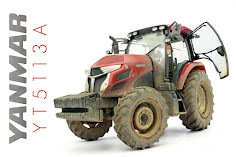 In the News section, we see a focus on new and upcoming interesting diorama products and accessories over three pages. 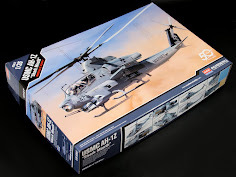 Some products are well known to most, and some I had never heard of before (and I get around) so an otherwise redundant section (due to the quarterly nature of the issue's publication) is actually useful to this modeller. 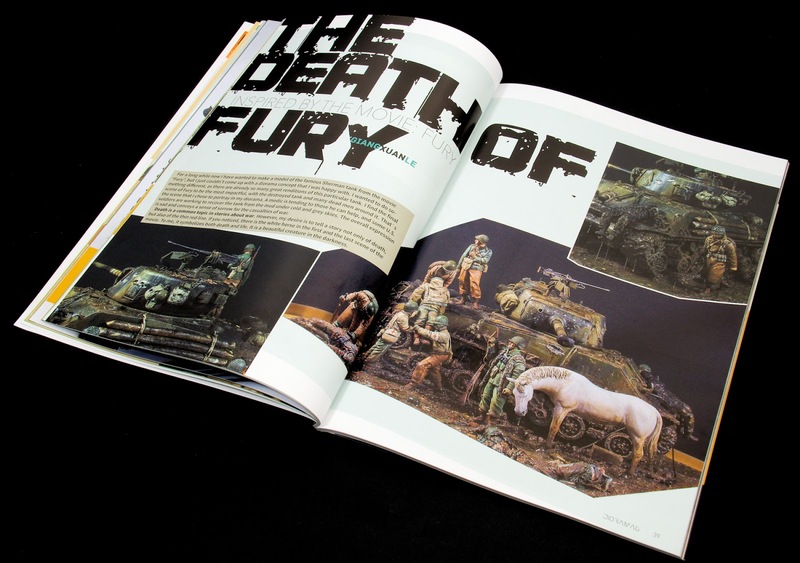 Sheperd Paine's work that is stored in the Tamiya Museum is first of the "Diorama Classics" that is shown in this issue. as was hinted at in the history of dioramas, this is a true classic and having seen it myself at the museum I understand the influence behind this man's work. looking at this over the double page spread you can see why it is included in a magazine dedicated to dioramas. 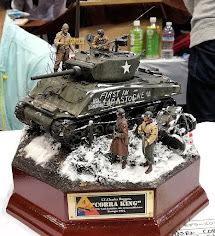 The first large article of eight pages is next and it features John Rosengrant's very impressive diorama titled "Leave No Man Behind. 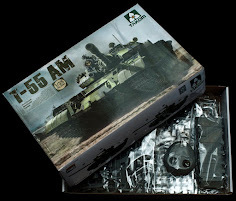 Vietnam 1968" featuring a Dragon 35th scale US Marine M48A3 Patton from the Vietnam War completely packed with GI's in all states on a base with groundwork, wall and grass. 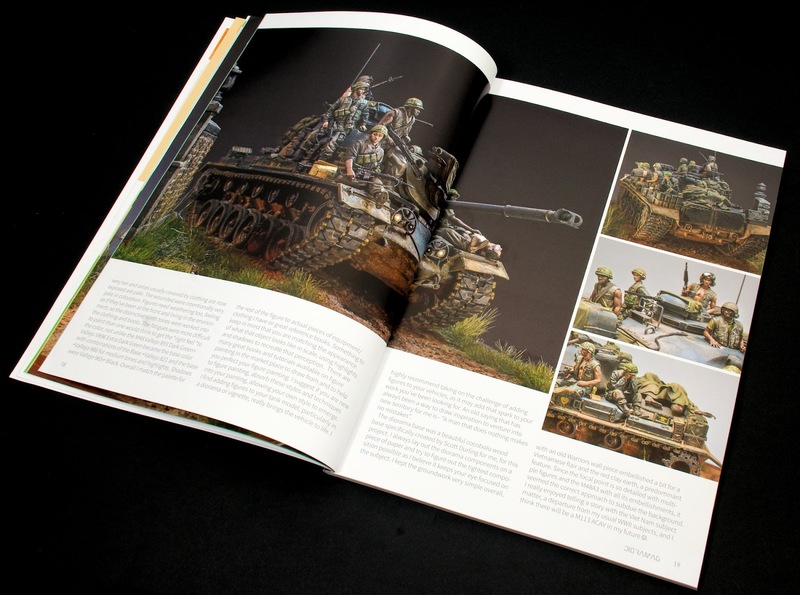 Two things here, John is obviously a great figure sculptor (as we find out in the article) and he also has an excellent way of describing the ideas, inspiration and methodology he uses to get his model and figures to as high of a standard as presented here in these pages and pictures. 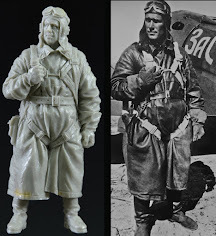 Special attention was taken to the uniforms and differences between these soldiers, we see them and the accessories of the tank before and after painting, which is also described in block text detail with numbered points to draw attention to the photos throughout this article. Wonderful work. 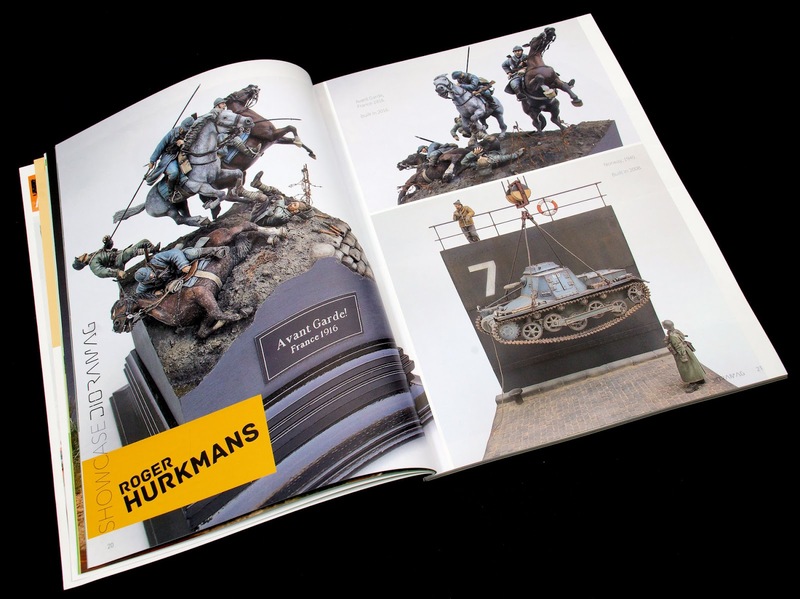 In the first of the "Showcase Dioramag," we see the very clean work of modeller Roger Hurkmans. Four pages of his work from five dioramas including "Norway 1940" and my favourite that I saw at Euro Militaire "Gone with the Wind". Great inspiration in these short showcases. 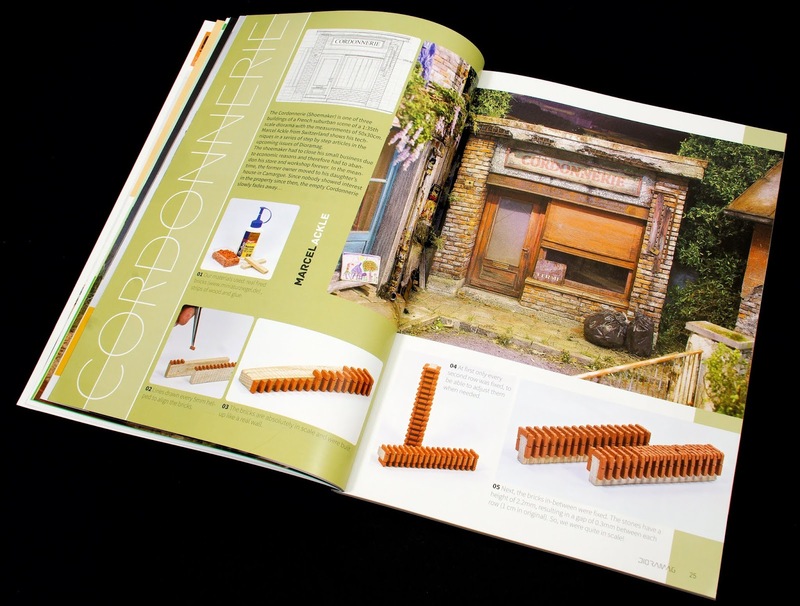 We next have some practical work with Marcel Ackle's "Cordonnerie" or shoe marker - the first of some continuing learning articles from this Swiss model maker. 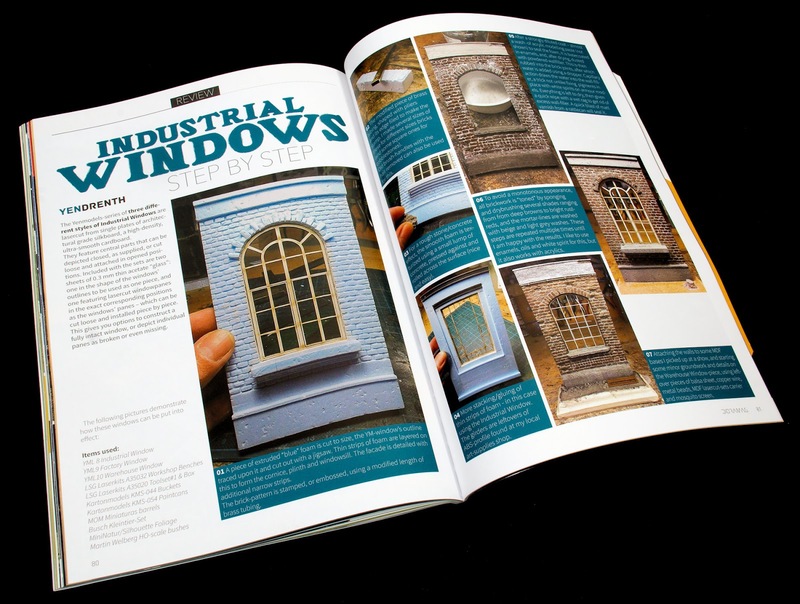 Nine pages in this tutorial show us almost as much as a real builder may need to know when building a 1/1 shop front. The result is just as convincing with wood, fake bricks, wire fence paint and weathering creating a realistic first piece of his diorama. 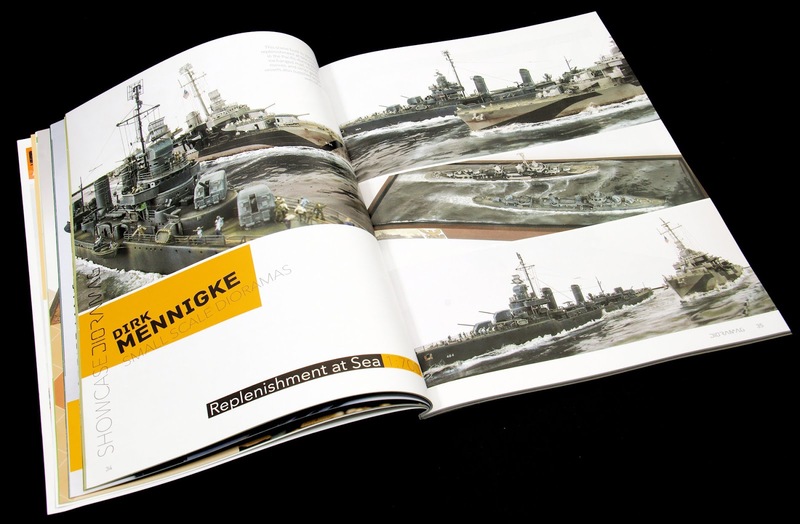 The second modern "Showcase Dioramag" is a four-page spread from Mr Dirk Mennigke of some 1/700th scale naval ships during ship to ship resupply. 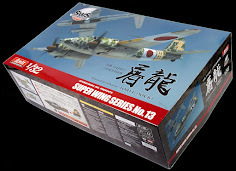 We also see a Vietnam brown water navy diorama in 1/350th and a small scale (1/144th ) scale F-15E strike Eagle showing small scale dioramas can be just as convincing. Giang Xuan Le is next with his piece "The Death Of Fury" featuring the now famous (non-fictional) Sherman. 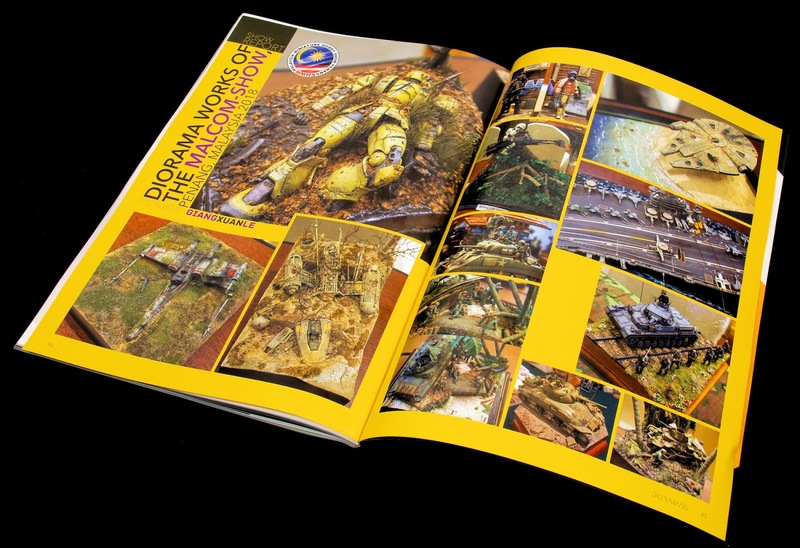 These six pages of this article show just the completed diorama, but with the modeller's thoughts on the scene, and his thoughts when creating it as well as the materials used. This is more of an insight into the diorama maker's mind. 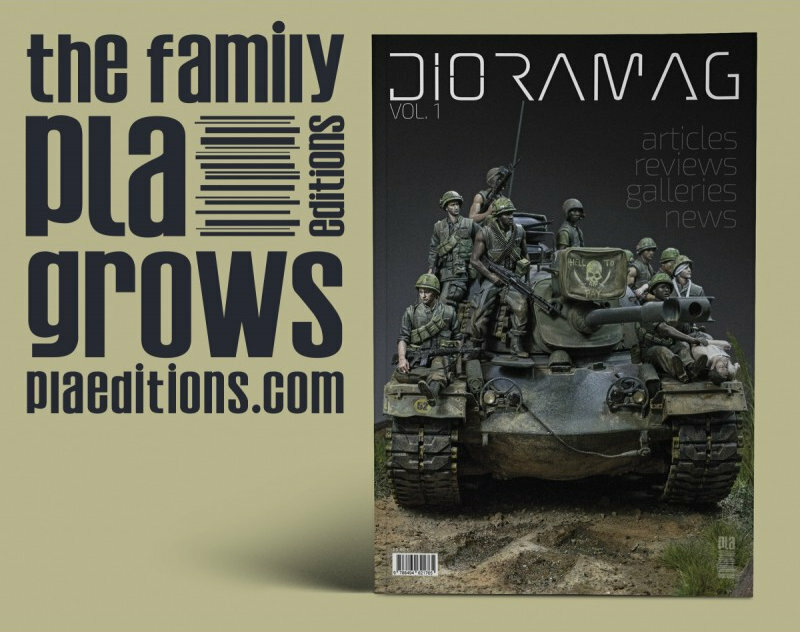 Another "Showcase Dioramag" next, with five of Bernhard Lustig's dioramas depicting for the main part German tankers in WWII. I have also seen at least one of these in the flesh and the photographs here do a very good job of capturing the minute details of these works very nicely. Just photos and no text in these showcases but lots of inspiration to be had. We go naval next, with a visually impressive feast for the eyes in "Death Of A Prince" from Won-Hui Lee. 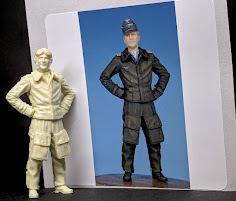 This is a "how-to" step-by-step (SBS) article where our kind teacher takes us through the steps in an exercise in how to create not only the painting and weathering of the ship, but the use of resin and cotton for underwater effects. 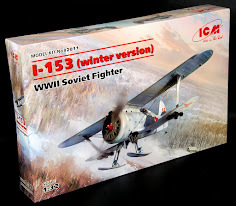 Numbered points keep you on track as we learn the layers of materials and even LED's used to create the explosion effects in one of the only dioramas I have seen that makes cotton wool into something realistic as an effect. Everywhere else I have seen it and you realize what it is - here it is so well executed there is no "uncanny valley" of realization. Even after reading this very helpful nine-page article I still don't know how it looks so good. 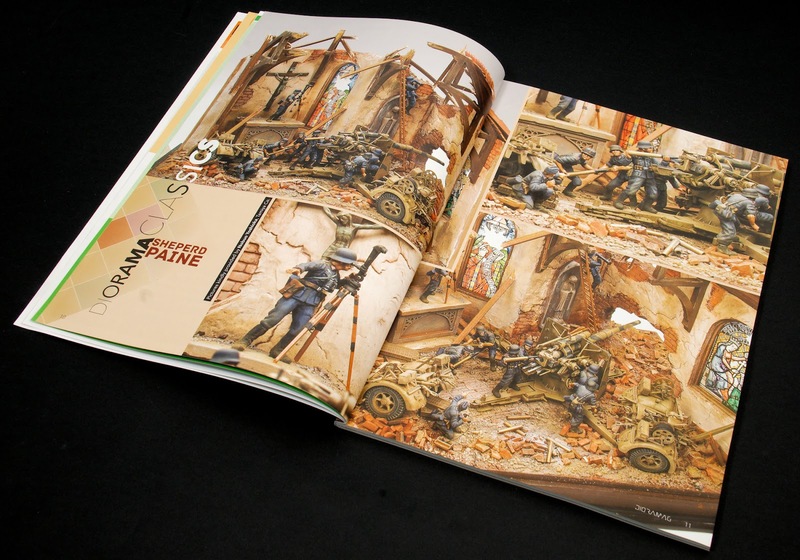 This next six page spread shows the very popular diorama from the "Japanese Masters" section, this issue featuring the works of Kazuya Yoshioka. Five impressive scenes that get just as much out of the human and machine elements as they do out of the flora and environment that surrounds them. Just pictures and dio titles again, but again a lot to inspire you. 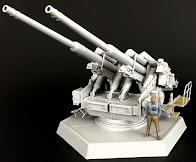 I had been expecting this - one of the real masters of diorama Mr. 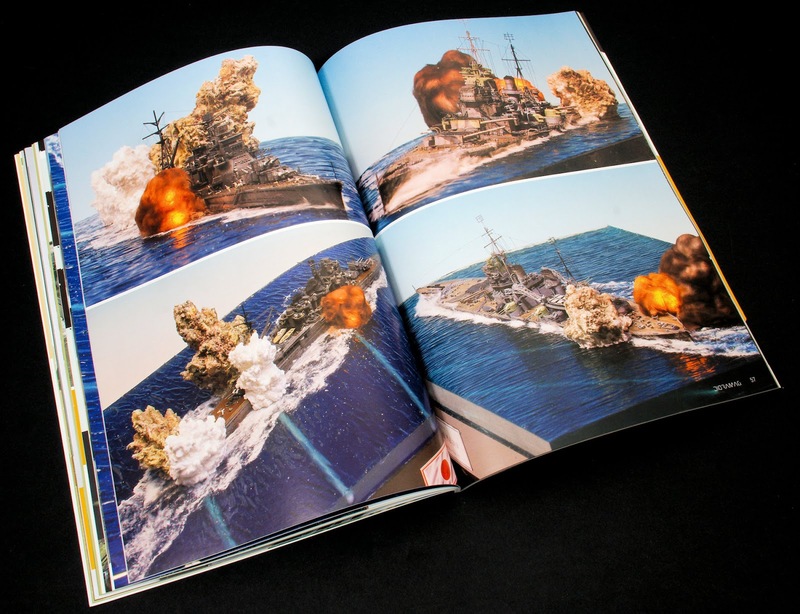 Per Olav Lund is next and I am glad he makes an appearance here in a magazine about dioramas. 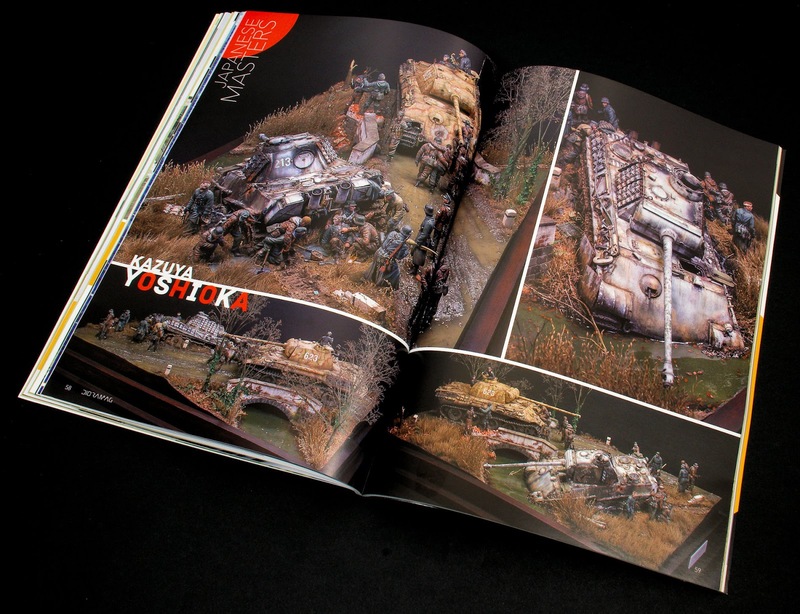 His article and diorama comes from "a long time ago in a galaxy far far away" - the world of "Star Wars" and the diorama called "Forgotten Walker". 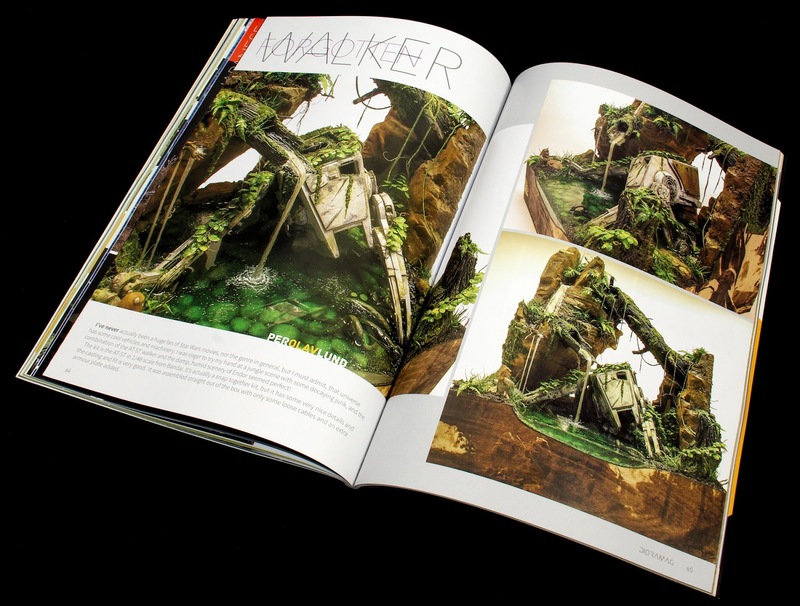 The rocks, wood, water effects, green creek base, lush foliage, a party wig and even the 48th scale Ewok are added to this scene in a brief but lovely four pages of show and tell. 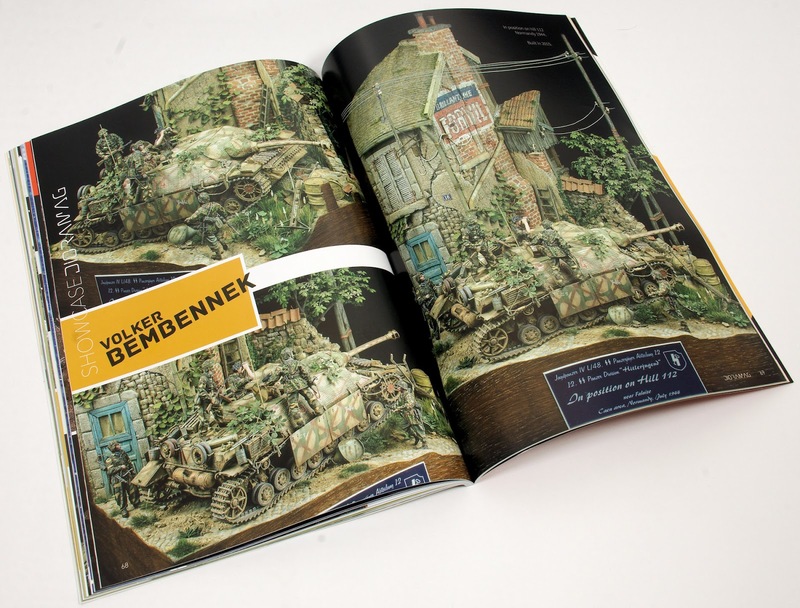 Another "Showcase Dioramag" is next over five pages, this time three works of the very talented Volker Bembennek that show a Jp.IV of the 12th SS, Germans in the "Dark December" of 1944 and some Germans in a Pz.IV ready to cross the River Don in the earlier part of WWII. Beautifully painted and tied into the surroundings in these pictures. 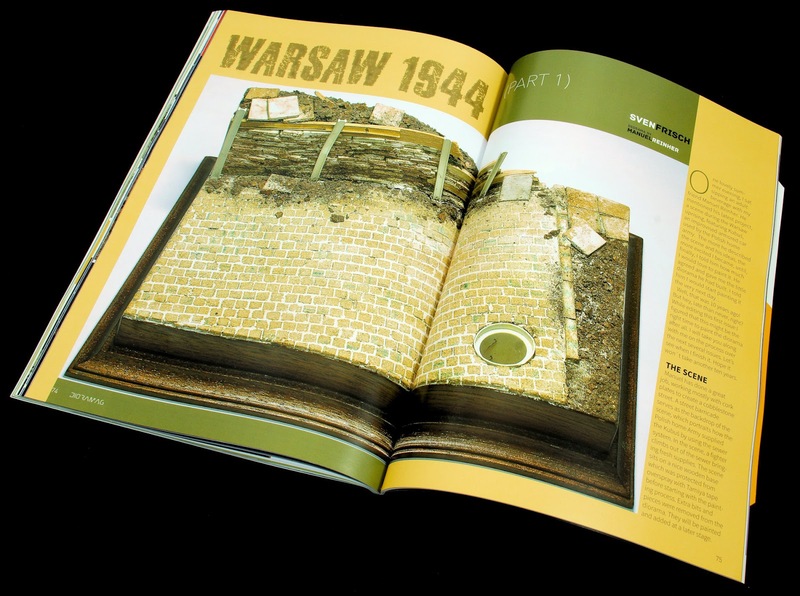 After a single page of François Verlinden's captured 88mm gun scene, we look at the work of Sven Frisch in his diorama (created his friend Manuel Reinher 10 years ago) called "Warsaw 1944". 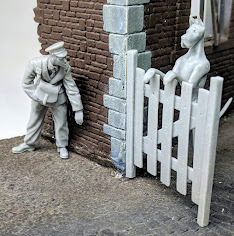 In part 1 of his five-page article Sven starts to paint the scene in a step by step article that shows just the groundwork for now. 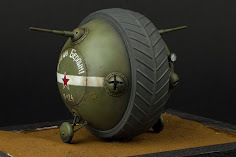 We are told that a vehicle and figures will be added to the scene but that may well be in the next part of the magazine. 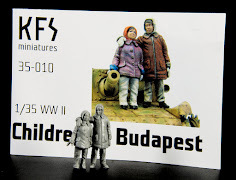 In the next four-page step-by-step article Yen Drenth shows us several of the diorama accessories from Yenmodels (I am not sure if they are his company?). These Industrial Windows, benches, toolbox, buckets, paint cans, barrels, foliage and bushes are put together in this short guide to creating a realistic set of three vignette windows. 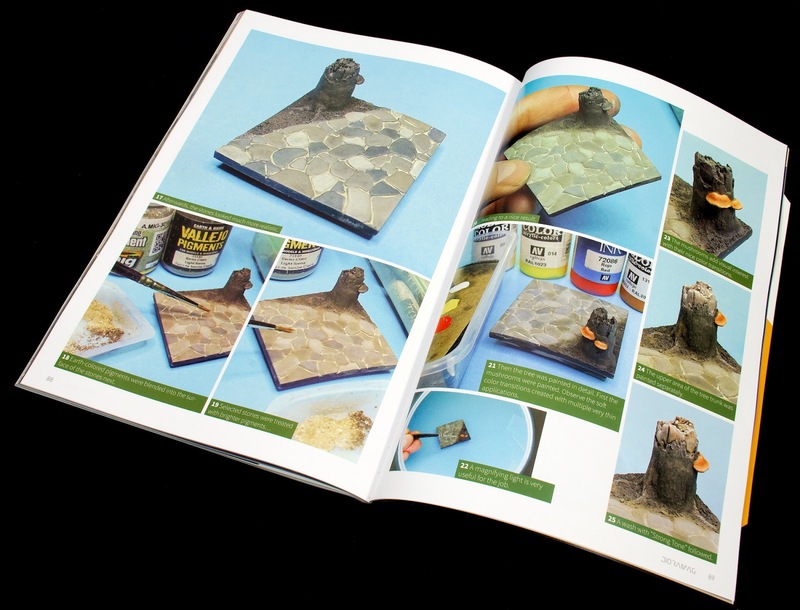 In his step-by-step tutorial, Marian Berg presents a guide on how he made his forest base from a resin cast, paint, weathering products and some moss/lichen accessories into a convincing but small vignette over five pages of simple learning. Next, we see Sven Frisch's diorama called "Die Gedanken Sind Frei" or "Thoughts are Free to Roam". 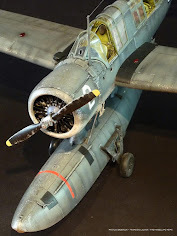 This unique and thought-provoking diorama scene is presented by the modeller who explains exactly how he made it and his thoughts behind the story he has so smartly created. 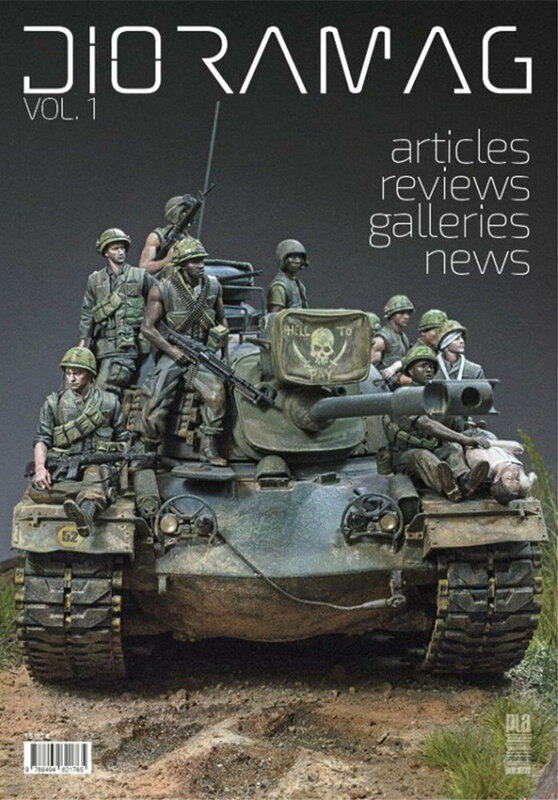 In his double page show report, we see a double page spread of the diorama works of the MALCOM show in Penang, Malaysia 2018 by Giang Xuan Le. There are some nice works here from a fairly small show that had many nice dioramas there on display. 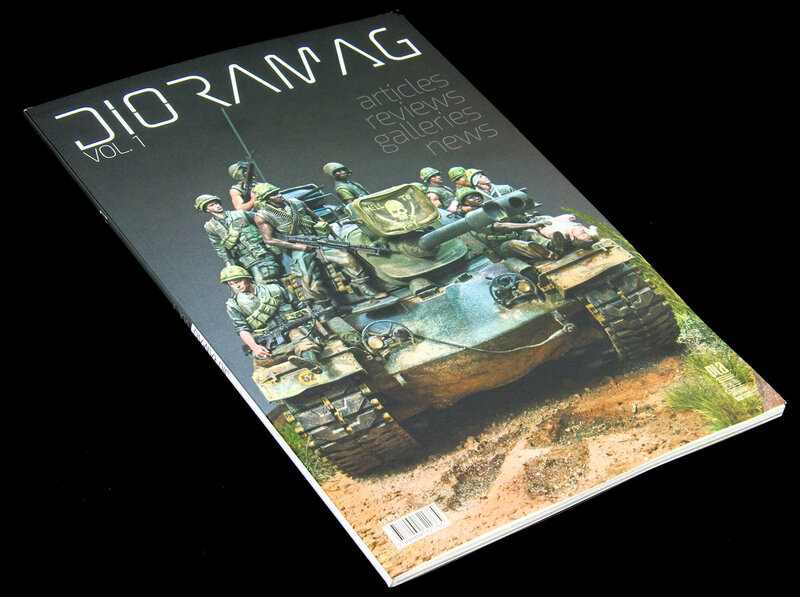 And that...fair modelling folks - is all of issue #1 of Dioramag. This isn't a painting materials catalogue, it isn't a magazine full of adverts, and it isn't packed with just one scale/ one genre and one voice. What it IS is a very nice maiden effort from a team that brought some great talent to light through their excellent works. 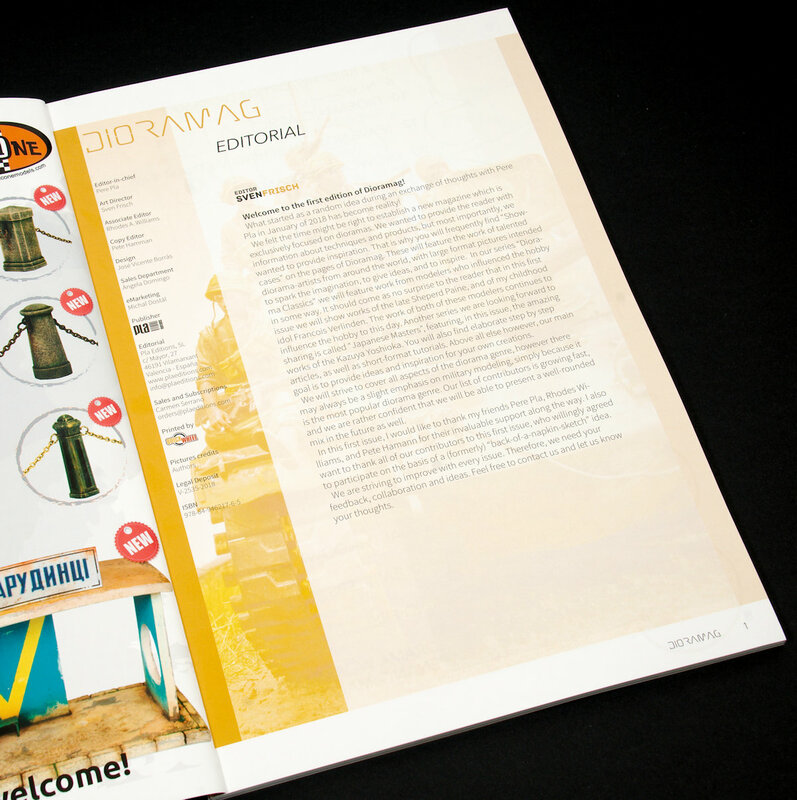 It is a magazine that It is of great visual design and quality. 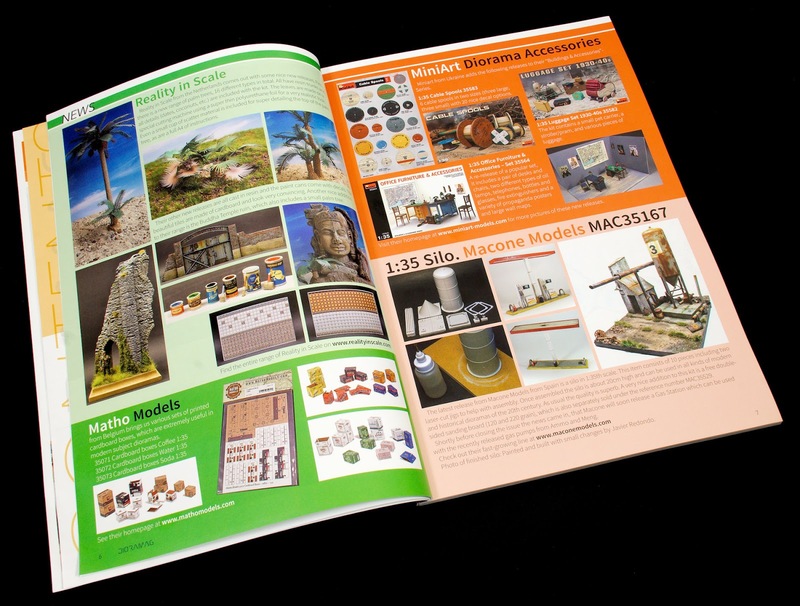 A publication that brings the best of past and present dioramas to our modelling benches and into our imaginations where the BEST dioramas are made. A wonderful first effort - keep it up!